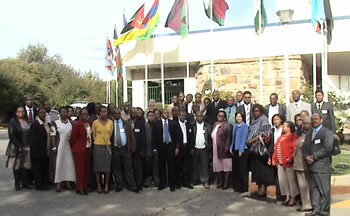 This project aims to strengthen national statistical systems in the SADC region to enable them to meet their statistical needs and to improve the availability and quality of data required to develop and compile the indicators to monitor internationally agreed Goals, including the Millennium Development Goals (MDGs). Through the use of information and communications technology, the project will also promote inter-regional cooperation among the countries of the region in the field of statistics and will establish a platform for communication and data exchange. The project will also strengthen the statistical capacity of the SADC Secretariat, with the aim of promoting regional statistical coordination. The substantive focus of the programme lies in the areas of development, production and analysis of development indicators, including the MDG indicators; methods of data collection: censuses, vital statistics systems, household surveys and how these impact on the final monitoring capacity of countries; organization of the integrated statistical systems and user-producer relations; and use of ICT. Advisory services, study tour programmes and a series of sub-regional events (expert groups and training workshops) will constitute the core activities under this project framework. The Workshop trained representatives from the National Statistical Offices and Ministries of Labour of the SADC region countries on the measurement of women's and men's participation in the labour force through household surveys, with a particular focus on employment in the informal sector and informal employment. The workshop was organized by the United Nations Statistics Division, in collaboration with the International Labour Organization (ILO), the United Nations Economic Commission for Africa (UNECA) and the Southern African Development Community (SADC), as part of the project "Strengthening statistical capacity-building in support of progress towards the Internationally Agreed Development Goals in the Southern African Development Community (SADC) region". The SADC Committee met at the occasion of the 14th SADC Statistics Committee meeting held in Zanzibar, United Republic of Tanzania, from 22 to 24 May 2007 whose main objective was to provide strategic policy guidance to the implementation of the various statistics programmes and projects being undertaken in the SADC region. The SADC Steering Committee meeting will reconvene at the occasion of the United Nations Statistical Commission. The Committee will assess project activities and discuss future plans. The purpose of this workshop was to provide a forum for active sharing of experience and training in the areas of Leadership and Management, Staffing, Statistical Legislation and Positioning of National Statistical Offices in Government. A cornerstone in Southern African political commitment to support the development of official statistics in the region was marked by the adoption of the Luanda Declaration for Statistics, made possible in part by UNSD's Development Account Project. The Declaration was adopted by high-level policy makers, representatives of UNECA, African Union, and SADC National Statistical Offices in December 2006, in Angola, after the conclusion of the Workshop. 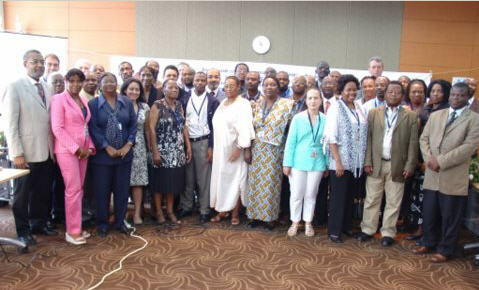 The meeting, organized by DESA/Statistics Division and hosted by Statistics South Africa, launched the new project on Strengthening Statistical Capacity in support of progress towards the internationally agreed development goals in the Southern African Development Community region (SADC). The meeting brought together the Steering Committee, consisting of the heads of SADC national statistical offices, SADC Secretariat, UNECA and UNSD and all other development partners with current or planned activities in the region. The meeting discussed and assessed needs and priorities for statistical capacity building in the SADC region, reviewed the proposal by the various partners and reviewed and agreed on the overall implementation plan for the project as developed and proposed by UNSD. Members of the SADC Steering Committee have agreed to submit countries' requests for study tours on specific subjects, as well as availability in areas of expertise in which they are willing to host study tour participants from other national statistical systems.